I know I don't usually do cover reveal posts, but ohmigawd I LOVE this cover! It's so pretty, and the color is gorgeous along with the font. I loved the first two books in the series, so I'm excited about this one coming out too. And the title fits along with the other two also, which is cool. What do you guys think? Which Caster Chronicles book cover is your favorite? I think I'd have to go with Beautiful Darkness. I feel like such a slacker - I've been coverlusting after this series since it came out, but I still haven't picked it up yet. I can't wait to see this one in person though! The gold foil is going to look amazing. 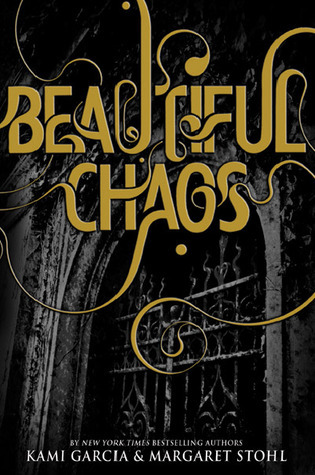 I would have to agree that Beautiful Darkness is one of my favorite covers of all three of the books, but this one is steeling my attetion for my favorite! hmmm...my favorite cover will probably have to be beautiful darkness (i love the color of blue used!) kami garcia & margaret stohl are AWESOME! i really want a movie to come out based on the books! I heard that they're coming out with a movie for Beautiful Creatures this year. I read millions of articles and most say that the movie's coming out this year. Which I don't know about that because by the looks of it, that's kinda going slow. I really want them to do the movies already. their coming out with a movie? oooooohhhh exciting!! !